Autumn this year has floored me. I don’t know if it’s just that I’m taking more notice, but the leaves seem to have stuck around a lot longer than I expected. They began to turn not long after September, very much in line with our shift into a new season in every possible sense. Move outs, move ins, new jobs, new vocations, new routines. The leaves turned as we did and I was grateful for their companionship. Autumn allowed me to walk with her, steady and patient, and glorious in affliction. As I rode my bike through the early morning crisp, I pass a small garden – Lincolns Inn Fields – deep in the heart of London. Perpetually late, I would normally glance wistfully over my shoulder and cycle on. But one morning, in early October perhaps, I found myself uncharacterisically with 4 minutes to spare, so I stopped in the garden. The rush hour roar and damp smog lifted off my senses when I stepped in this place. Weaving through the trees, I even felt the need to get off my bike for a moment. I so deeply wanted my feet to touch the ground – to me it felt like holy ground. And standing beneath the magnificent trees, I breathed in the miraculous being birthed – moment by moment in this very ordinary garden. 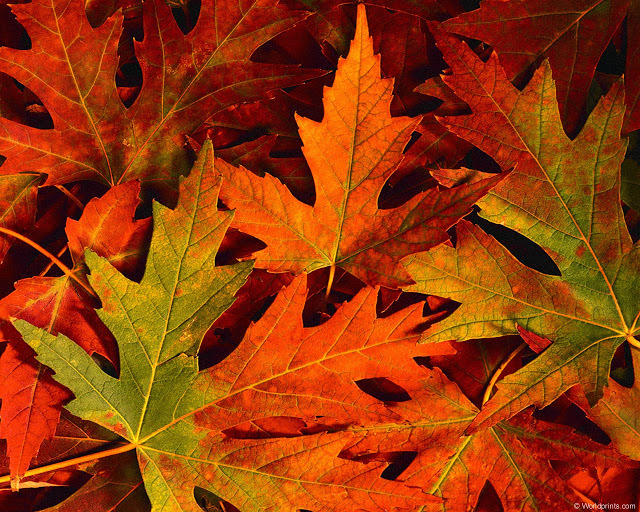 The leaves had shed their summer attire – greens saturated with life and pulse had given way to crunch and russet. Like a magnificent grandmother sweeping a woolen shawl over her shoulder, this place inspired a quiet awe in me. Over the next few days, even if had only thirty seconds to spare, I would duck into the garden on my way in to work, crane my neck to take in the gentle brush of the highest branches and run my feet through the crisp leaves underfoot, softened ever so slightly with dew. The gold of the leaves, which seemed to last forever (though I now realise it was only a month or so), changed me. How can these leaves, I wondered, in the very midst of their dying, be this glorious? We’ve heard all our lives about our God who turns ashes into beauty, and yet when I see with my own eyes this teeming, persistent life even in the very teeth of death, it floors and confounds me. In those mornings as I stood ankle deep in the leaves which grounded me to this place and this season, I felt the a question barely louder than a whisper – will you, too, believe I can be glorified in this? This season of numbness as you ache to find your place and purpose in a line of work which jars with you, in an environment which is sapping your confidence, sapping all your ideas of what you thought you were capable of, were alive for? Will you glorify me even in this – and allow me to lead you through the turning, the shedding, the shivering, the waiting, the renewing? Probably not coincidentally, this season was my discovery of Walter Brueggemann – primarily through his ‘The Prophetic Imagination’, having heard of him first through the writing of Kelley Nikondeha. Her words to me always sound like the pounding of drums, the clashing of cymbals, the thrumming of strings. Her words always speak freedom to me. Brueggemann is the same. In the thick of our numbness he exhorts us to awake. To understand that the life of Christ means a life of radical criticism – one which pierces numbness that authorises the status quo. To weep and mourn and feel the anguish for injustice and loneliness deep in our bones, crying out that all is not as it should be – but more than that, that it is not as it will be, and transformation begins here, today. Tables are overturned and a freedom song is heard somewhere over the crest of the hill. This is stirring stuff, and it brings the lives of the prophets, the Psalmists, our brothers and sisters in the gospels and beyond, to wild life. It woke me up, that’s for sure. But what I love about Brueggemann and Kelley, these writers and believers is that they at the same time show us the other side of the coin. Brueggemann writes that after grief there ist – there must be – amazement. An amazement which enables us to carry the transformative power of redemption into our world, the world which God loves. For it is celebration which reminds a weary world that there is another way, ready, being birthed already, Immanuel. Gradually I have found myself seeing the things which made me numb in a slightly different way. Pockets of redemption pop up as if out of nowhere, despite them having been there, turning orange, russet, then golden every day. Brueggemann, Kelley, the Autumn leaves remind me to be steadfast. To be patient and to begin beating my drum. To refuse to believe that this is it –for there is glory, yet, for today. There is redemption in the crunch and the damp. A song even in the longer, darker nights and the jostles for power and status. Stories to be told over steaming cups and in the corridors of corporate power. As the days turn even shorter and I watch the last of the yellow leaves fall to nourish the ground for yet another season, I want to wrap that grandmother’s shawl tight around me. I want to be more like Autumn. I want to give our God the glory, even in the depth of the night. Autumn kept me sane these past months, and I am grateful to her. This entry was tagged #fall, #joy, autumn, beauty, brueggemann, faith, ferguson, leaves, numbness, seasons, waiting. Bookmark the permalink. I am floored by your ability to weave together seemingly disparate topics with such insight and grace. You are my living inspiration to think more deeply, live more authentically, and embrace life more fully.